Whey protein is a byproduct of cheese production. Whey is the watery part of the milk used to make cheese which separates from the solid curds. Whey protein is found in this watery part of cow’s milk. Whey protein isolate is most commonly used as a dietary supplement. It is believed to have many beneficial properties. The specific type of whey protein you use will determine which compounds it contains. If it is highly processed, the whey protein may contain only protein. Known as whey protein isolate, this option typically has fewer whey protein side effects. Minimally processed whey protein powder still contains lactose and carbohydrates. There are no set dosing guidelines for whey protein. The best method of using this supplement is to follow the directions on the product you have purchased. Whey protein powders come in many forms and different products will be formulated for specific purposes. Whey protein has so many potential uses that two people could use the exact same product for radically different purposes. 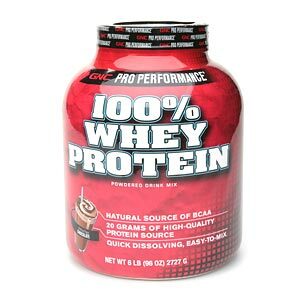 Many people consume Protein Shakes made from whey. Body builders use whey protein powder to increase body mass while dieters can use it as a supplemental part of a high protein diet to lose weight. Patients with AIDS and HIV may use whey protein to help them gain weight. The antioxidants in whey protein isolate are beneficial for HIV and AIDS patients as well as those with cancer. Whey protein is used to help lower cholesterol as well as to treat asthma. This supplement is a common ingredient in infant formula. Whey protein powder can be given to babies with a milk allergy, as well as adults who need extra protein but suffer from lactose intolerance. Though some of these benefits are not thoroughly backed by research, there are devotees to this powerful supplement who will swear by its usefulness for these myriad causes. Protein shakes, as the name suggests, are beverages with high protein contents and are often consumed by athletes and body builders before or after a workout.